We have an exciting GP job in the heart of Twizel in the south of New Zealand's South Island. This is a unique opportunity for a GP who is keen to be part of a large Community run practice. 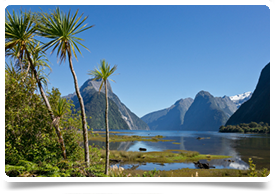 Located in the Canterbury region of the South Island, this vacancy is ideal for someone who is looking to be part of a community owned practice and looking for that highly sought-after work life balance. If you have a love of the great outdoors, then this location has it all on your doorstep. Surrounded by mountains, turquoise blue lakes, the natural beauty of this region with leave you speechless. Twizel is a popular holiday destination known for its diverse watersport and water activities, hiking, skiing, and scenic flying. The region welcomes hot summers and cold winters. Situated approximately 2.5hrs from Queenstown, which is world-famous and one of New Zealand's top visitor's attraction and 3.5hrs from Christchurch which gives you access to that big city living and a large international airport, this is most definitely an opportunity not to be missed.